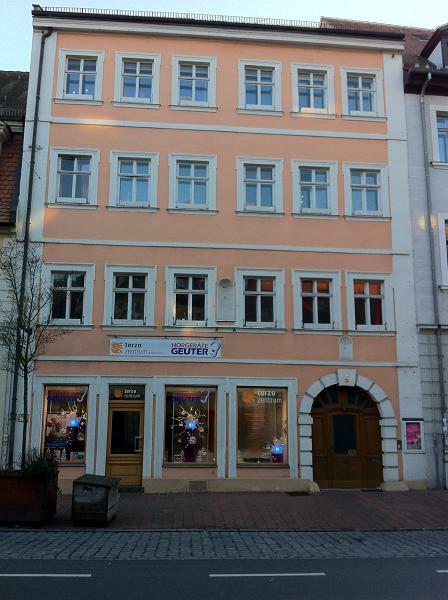 Welcome to the family run Bed & Bike in the centre of Bamberg. Enjoy your stay in one of our four spacious rooms in the historical building. Bicyclists appreciate the in-house bicycle garage, bike repair and laundry facilities. Since 2012, we are an ADFC certified "bicylce friendly guest house" lying next to the Main and Regnitz bicyle paths. Experience friendliness combined with quality service. Rent a bicyle at the Bed & Bike to discover the charming Old Town of Bamberg. Our Bed & Bike is only a few minutes walk away from the main railway and bus stations. Perfectly placed for shops, international restaurants, sight seeing, culture and wellness. Neighboring two of the best known Bamberg breweries. In 2013 paintings by Barbara Duisberg are shown in the Bed & Bike. Contact us via email, give us a phone call or use the contact form for your request.